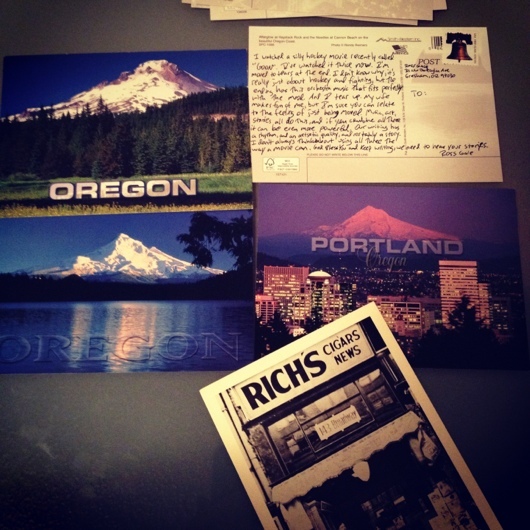 Postcarding | Ross Gale is a writer and editor from the Pacific Northwest. I got mine in the mail yesterday. I totally love it and the concept! Keep ’em coming. Am so tempted I cannot remember the last time I recieved a post card it must have been around ten years ago while my daughter was younger and on holiday at my grans with my mum. We sent so many children even though half the time we arrived home before they did. I really should start again when I go away to places. Can’t say I’ve ever received a post card but I don’t want you out the postage- enjoy your trip! All this talk of postcards makes me want to go on vacation. When do we leave? Cool stuff, now I wish I could write some and send them out too! And yeps don’t want you out on the postage 🙂 Keep writing though, I really like the idea!